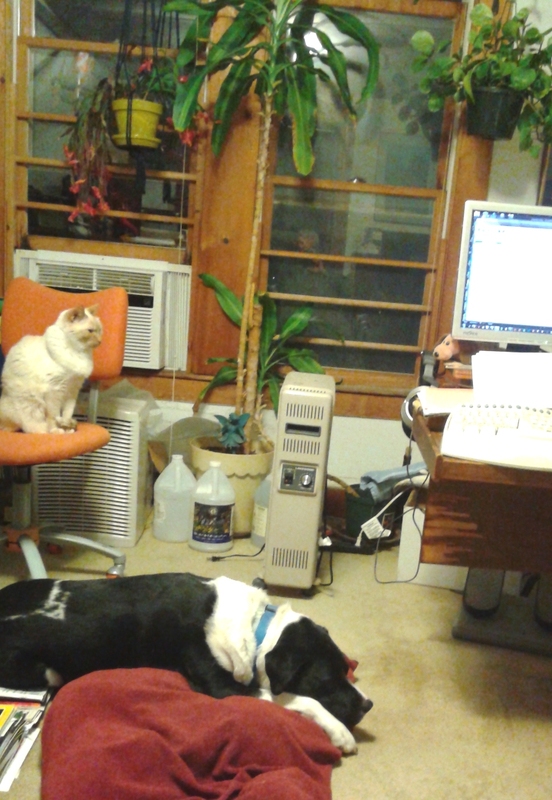 Here’s Moonlight and Captain Jack keeping me company in my office while I work. I’m pretty sure they think watching me write is a lot less interesting than watching paint dry. At least with paint, you can walk across it and then track it around in artistic ways. Watching a writer work?